When it was announced that the forest floor would be this week’s Inspired by Nature challenge, I knew exactly what my inspiration would be – this photo, one of my favorites from National Geographic. 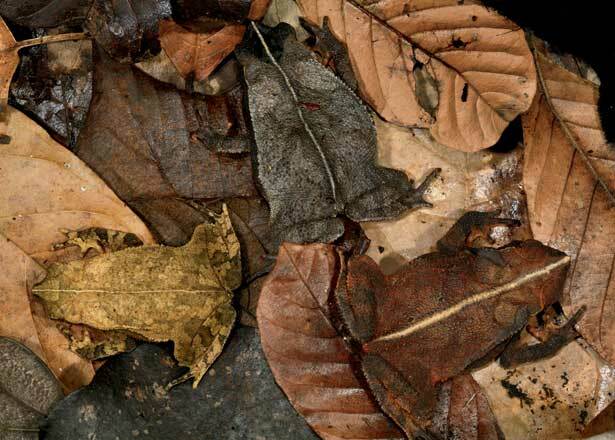 Can you spot the three leaf-litter toads? Nearly impossible for predators to distinguish from the debris on the forest floor! I’m currently reading an intriguing biography of Cleopatra, a mistress of disguise herself, who, on more than one occasion, owed her life to her uncanny ability to vanish in plain sight. To celebrate nature's and we humans' love of mimicry, I call this bracelet Cleopatra and the Leaf Toads. Cleopatra, in the center, represented by the large CZ round (no stranger to deception, itself! ), surrounded by faceted rounds in the same luscious caramel-to-golden browns and pale-to-dark grays as the impostors on that forest floor in Panama. To see more forest floor-inspired designs, visit the Inspired by Nature group on Flickr. I love the photo,also the bracelet. I like this sophisticated,simple style and here,You also surprised me a little,because this kind of rope connections with similar kind of naturally colored beads are very typical for Scandinavia,where I live. This kind of macrame bracelets was the first thing I learned here.It's for me so touching to see Your beautiful piece. Great interpretation Karin, love it! I love your bracelet. I am wondering if you would be kind enough to share the size of the beads, kind of cord and knot. You can tell I would love to make one. Thanks for the encouraging comments! Kathy, the bracelet is made with a 15mm CZ round, along with 14mm and 8mm faceted jasper rounds. I used 1.5mm nylon cording, and all the knots are square knots (3 at each end and 2 between each bead.) 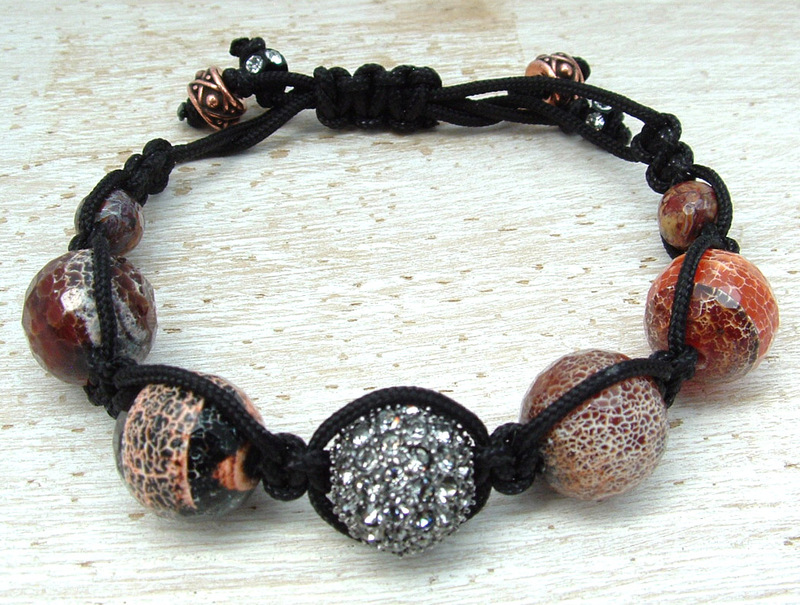 The beauty of this bracelet is that you can make it with any size bead and different types of cording! This was my first attempt at beaded macrame, and I will definitely be making more!